There’s different kinds of biryanis but nothing matches the flavours of the authentic Hyderabadi biryani and to get it served in the authentic way? That would really add to the gastronomical pleasure. And exactly for that, you have to visit The Sapphire Mall’s Andhra Biryani House in Sector 49. If you love the Hyderabadi biryani, you’re going to love this place. They have a range of biryanis and cater to vegetarians, egg-lovers and the pakka non-vegetarian peeps too. The aroma, the garnishing and the main meal is like taking a flavoursome journey and is a guaranteed pleasure to the taste buds. We say you try the Hyberabadi mutton biryani for its perfect mix of spices. And by the way, you can also buy biryani by the kilo here. Opt to dine at their place for an authentic experience where they serve out of handis! And all of it will set you back by a mere INR 350 per person. 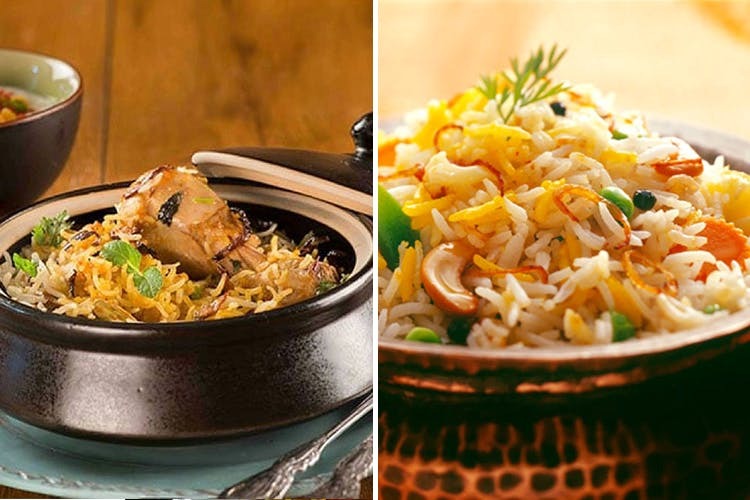 Do you love some authentic Hyderabadi biryani? Then have it right out of the handi at super affordable prices from Andhra Biryani House.